Rachel has been administrator since March 2011 and is responsible for church admin, activities in the Parish Centre, supporting the Vicar and any ad hoc projects. Rachel first came to St James family service in September 2009 after thinking “there must be more to life.” After much reading, chatting and excitement she came to faith in Jesus soon after. 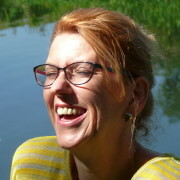 During this changing time she was working in the Learning and Development team at Cambridgeshire County Council but decided to give it all up and see what happened. Months off work followed where she could help out with church activities like First Steps, youth group and even the Parish Council for a short time. Rachel, who hales from Yorkshire and loves to visit whenever she can, lives in the village and has been married to Jim for 18 years, is mum to Maisie 16, and Lola (the dog!). She enjoys family time and visits back to Yorkshire. Peter has been vicar of St James’ since September 2002. Married to Rosie for 40+ years. 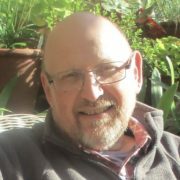 Prior to ordination Peter was eighteen years in the NHS, and 12 as a specialist nurse in paediatric intensive care. A person of faith in Jesus for more than 50 years but with a fresh encounter with the Holy Spirit much later in life. New Wine has played a significant part in shaping his ministry. His interests are many, but he particularly enjoys technology, photography and has an artistic bent. Ben with his wife Grace and son Andrew joined St James in November 2017. Ben grew up in Portsmouth and enjoys going to watch Portsmouth Football Club when he visits. Ben studied for 4 years at Oak Hill Theological College in London. He enjoys playing a number of different sports and currently plays hockey with St Ives Hockey Club. Liz has a particular focus on preaching and ministry to the adults in the church. Married to Mike, they have three adult children and two grandchildren. 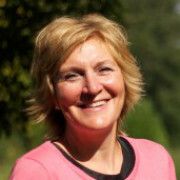 She studied business and worked in book-selling and publishing before a complete career change to Chiropody, running her own practice for 12 years. Becoming a Christian at the age of 19 and, even after that, she spent a long time away from the church. This experience informs her passion to communicate the Bible using creative ways to connect with people; making sense whatever their state of faith. Having always enjoyed textiles as a hobby, she has recently been exploring what it means to be creative in it’s broadest sense. She runs Create Space a group that meets to play with textiles, painting, writing, craft, baking and more, enabling people to be what we were all made to be – creative! 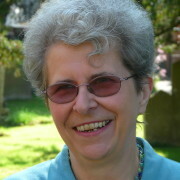 Liz is Chair of the Ely Diocesan Board of Readers (Licensed Lay Ministers) 2017-2020. This exciting role will particularly focus on creating ways for lay ministers to work alongside clergy colleagues in new and adventurous ways as the Diocesan Strategy is implemented. This strategy aims to provide effective ministry at a time of great social change. Coming from Muswell Hill, Trish began married life in Edgware, and spent a year in Nigeria before settling in the village for 40 years. Married to Ray, both have been active members of St James’ all this time, during which they raised four children and fostered others, helped run children’s and youth groups and sailing activities. Trish has served as church treasurer and for two terms as churchwarden. She has been a Reader since 2006. 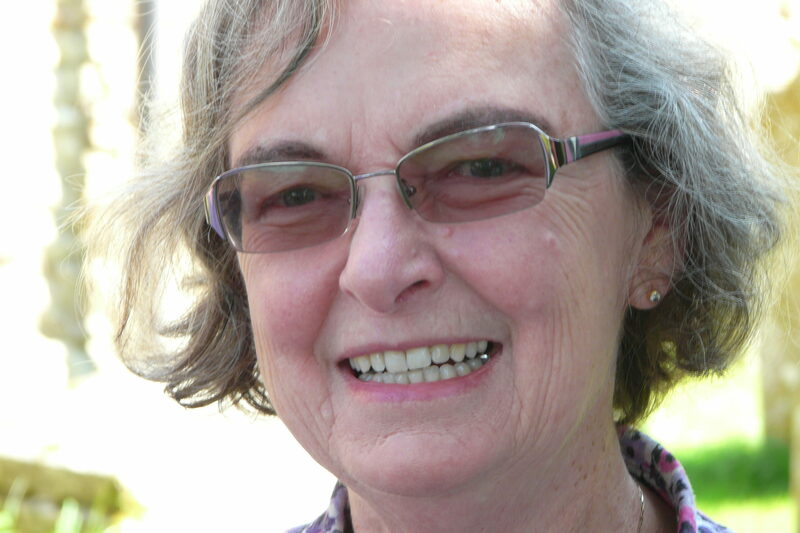 Trish fits in 13 grandchildren in London, Cambridge and Australia around her Reader ministry. 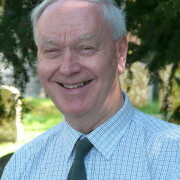 Gerald chose to be follower of the Lord Jesus Christ in his late teens and later became an Authorised Lay Minister in the Diocese of Chelmsford. He was licensed as a Reader (LLM) in 1990 and after moving to this area his license was transferred to the Ely Diocese in 2012. He enjoys leading worship and preaching when the opportunity arises. Gerald is a retired church architect and retains an interest in architecture, both ancient and modern. He is married to Jenny and they have two children and five grandchildren, and a garden that they do their best to maintain to the standard required by the more critical passers-by. Tim became a Christian at university in the late 1980s, after his brother made a miraculous recovery from a life-threatening accident. Moving to Cambridgeshire in 2004, he joined St James’ soon afterwards. He particularly enjoys the fellowship (and food) here and loves the opportunities given to him to preach and lead prayers. 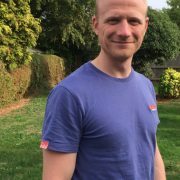 Tim was licensed as a lay minister in October 2018. Married to Lynne for 25+ years, they have two grown-up children (now at university) who have also been encouraged and affirmed by St James’ fantastic church family. Tim has worked in local government for three decades in policy, communications and project management roles. Judith helps to plan services as part of the ‘Sunday Team’ bringing classical skills and drawing from a variety of sources. She plays the violin her father made for her in the 1950s, loves choir music and sings. Judith had a career in teaching, last working in Special Needs support and loved seeing boys especially learn to read successfully. She now works as a Shrievalty Clerk assisting a High Sheriff and staff. Married to Brian, they have two adult children and are well established in the village. Half of their house was once the vicarage. Since early Sunday School years Judith has grown up always believing that loving Jesus was the obvious thing to do.